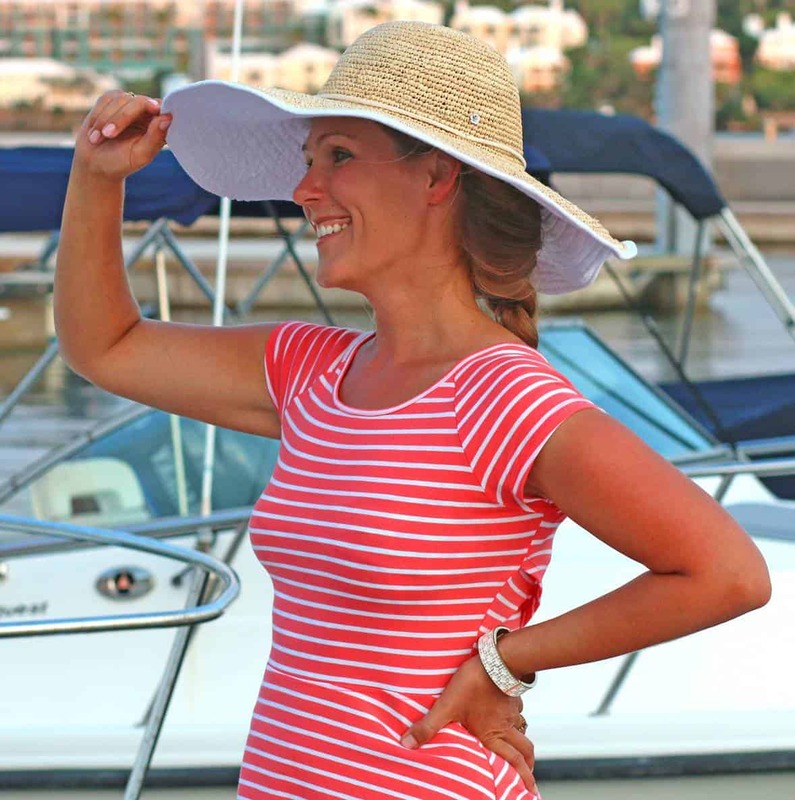 Thank you to Clever Girls and Bob’s Red Mill for sponsoring this post! I can’t praise this cake enough. It is perfection. The texture is exquisite and the flavor is so wonderful. 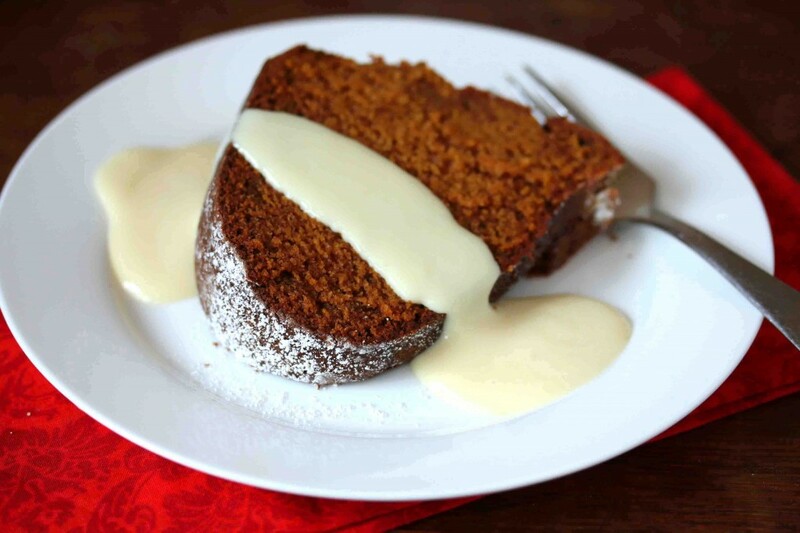 It’s fantastic on its own, but when served with the eggnog custard sauce it not only adds flavor but elegance. Another great thing about this cake is that it serves a crowd. 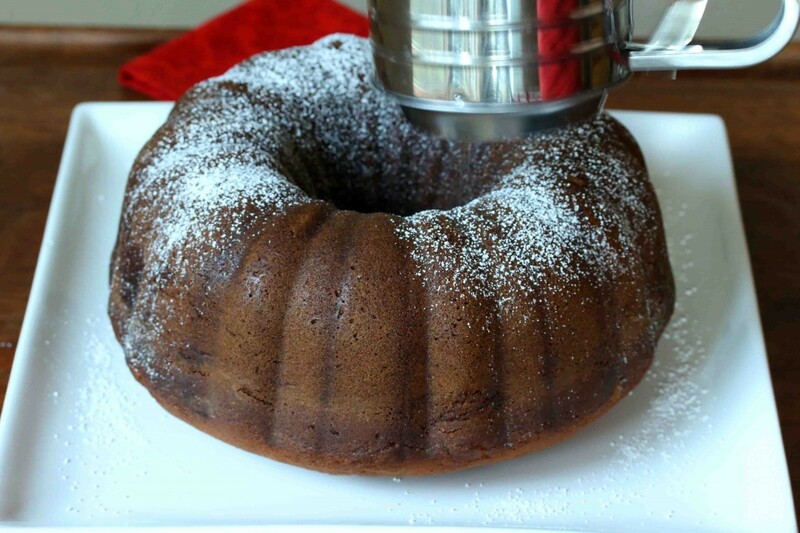 The bundt pan marks the slices for you and you can easily serve 10 guests. 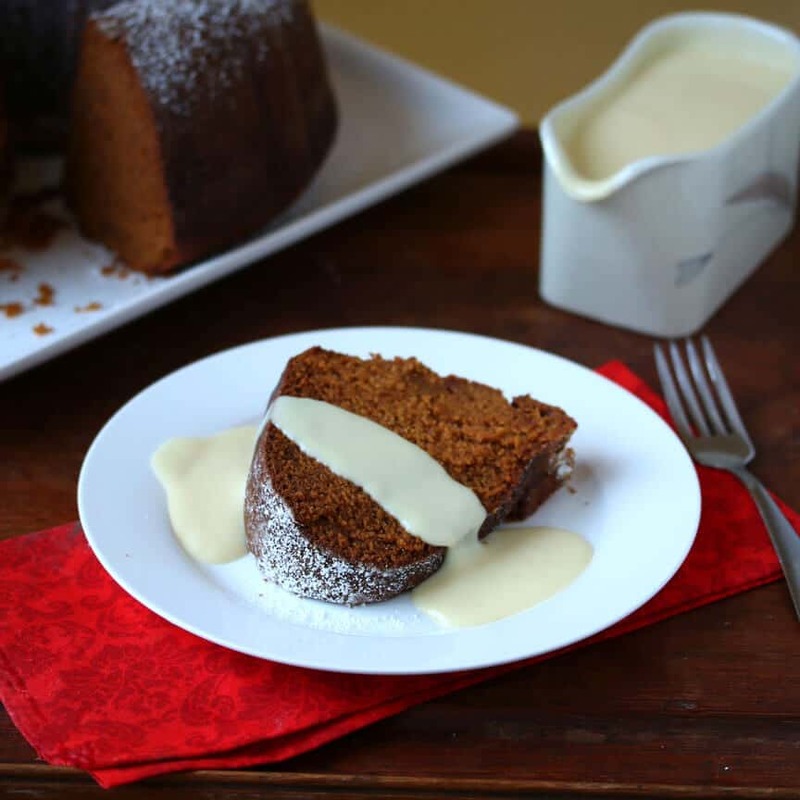 Serving it with the eggnog custard sauce will make for a more complete – and impressive – dessert. Perfect for Thanksgiving, Christmas, or anytime in between, before or after, this is a cake the whole family will enjoy. I love the Anne series, don’t you? Joining us today is Bob’s Red Mill. I love their products. And I notice a difference even in their most basic of products, plain and simple unbleached white flour. Cut open a new bag of it and smell it. I wouldn’t normally describe flour as smelling “fresh”, but you’ll agree it’s a fitting description. It smells fresh, clean, with a slightly sweet aroma. Like the organic hard red wheat had just been freshly harvested from the sun-baked fields then milled and poured into the bag just an hour before you opened it. Working with products like this makes me even more excited about baking. This high protein flour is used by professional bakers to produce both light and airy baked goods a well as well-textured loaves of bread. 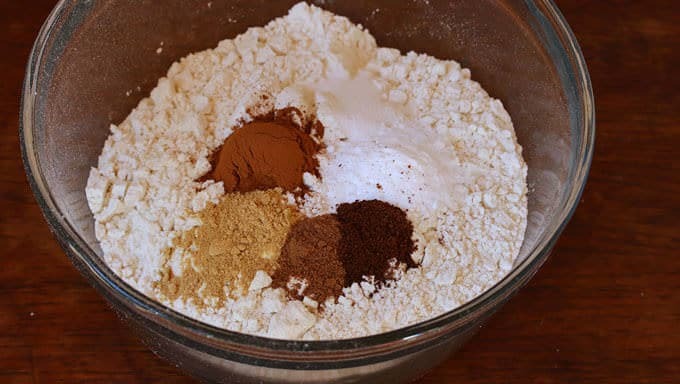 So add the flour to a medium mixing bowl. Add the salt, baking soda and spices and stir to combine. Set aside. 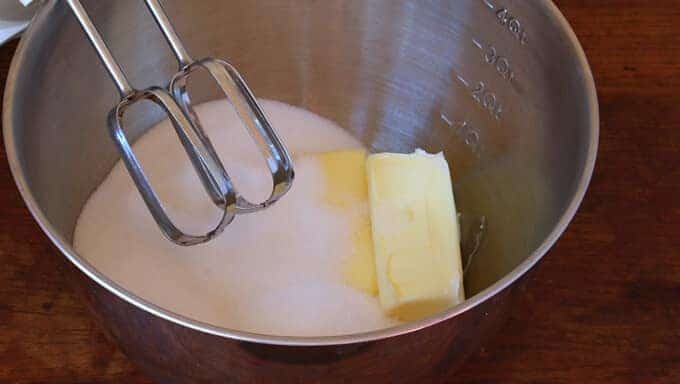 In another large bowl, cream the butter and sugar with an electric mixer for several minutes. Add the pumpkin, rum and vanilla extracts and beat until combined. Alternately add 1/3 of the the flour and eggnog, taking turns, starting and ending with the flour. Beat until combined. That’s the look of satisfaction. 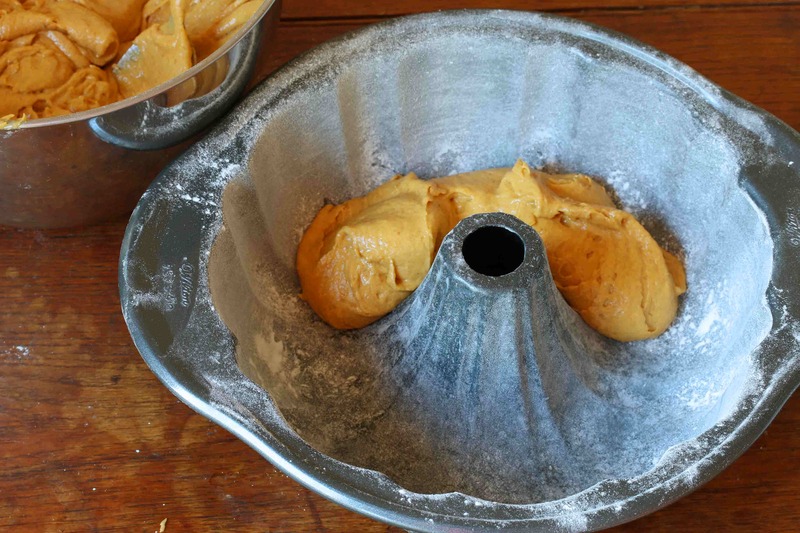 Spoon the batter into a greased-and-floured bundt cake pan. In an oven preheated to 350 degrees F, bake the cake for 65-75 minutes or until a toothpick inserted into the center comes out clean. Be careful not to overbake however or the cake will be dry. Ah, the wonderful aroma when you open the oven! 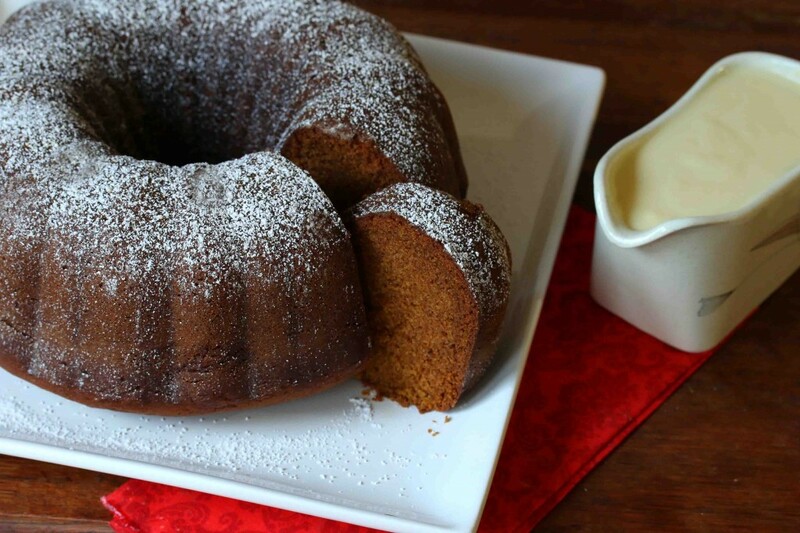 Let your masterpiece cool in the bundt pan for 10 full minutes before carefully inverting onto a wire rack. 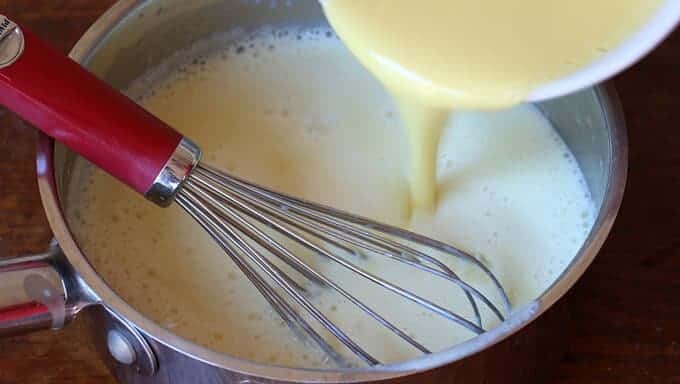 While the cake is either baking or cooling, prepare the eggnog custard sauce. Add the flour, salt and sugar to a medium saucepan. 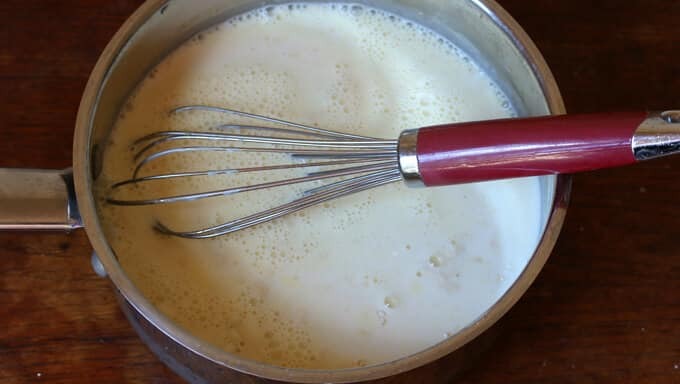 Whisk in the eggnog and milk. Cook over medium-high heat until it just starts to simmer. 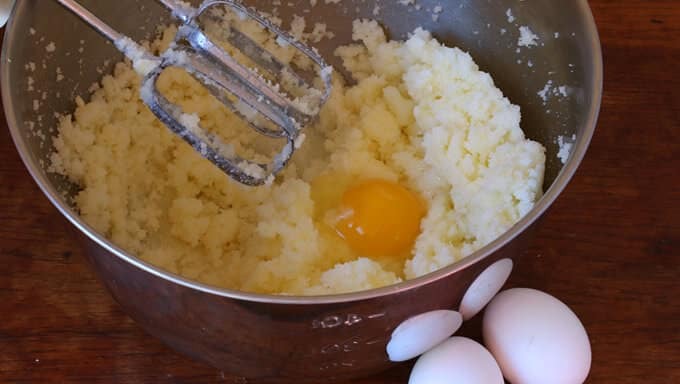 Remove 1/2 cup of the hot mixture and add it to the bowl containing the lightly beaten egg yolks. Whisk quickly until combined. Now return the egg mixture back into the saucepan with the rest of the hot sauce. 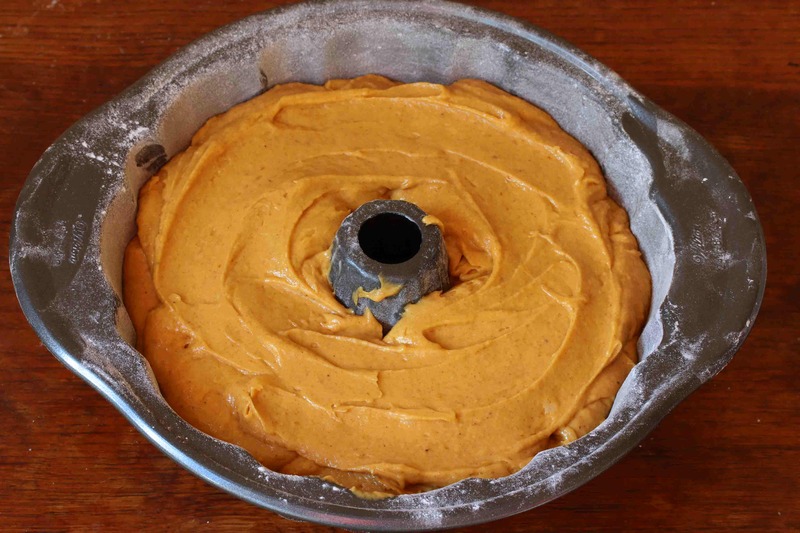 Whisk quickly and continuously until the mixture is combined and smooth. Return it to a simmer and cook, whisking constantly, for a couple more minutes until the sauce is thickened. 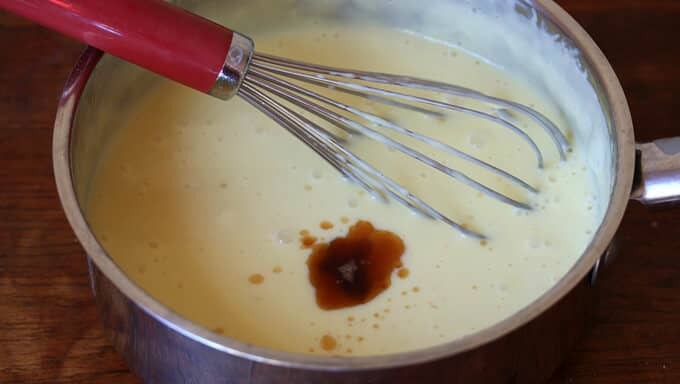 Remove the eggnog custard from the heat and stir in the rum and vanilla extracts. Sometimes eggs can curdle a bit when cooked and we want a perfectly smooth sauce. 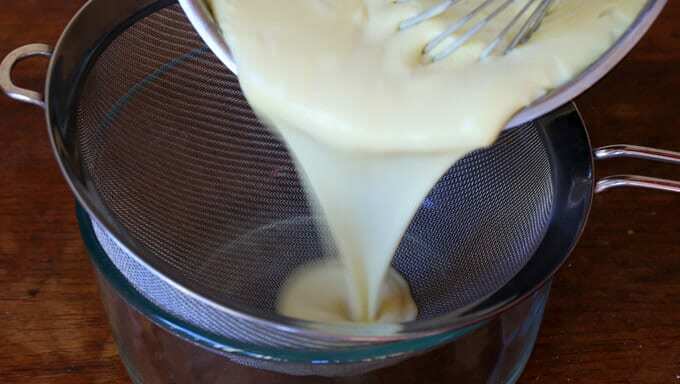 So pour the eggnog custard through a fine sieve into a bowl and discard any lumps. 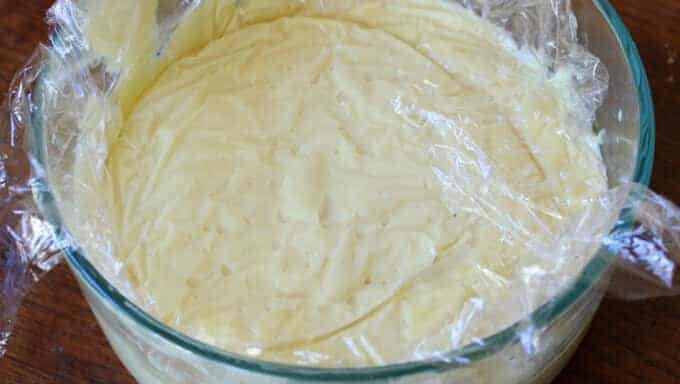 If not serving it immediately, cover the sauce with plastic wrap, pressing the plastic directly on top of the sauce to prevent it from forming a film on the top layer. FYI, this sauce can be made in advance and reheated. Now back to the cake. Sprinkle it with powdered sugar. Put a slice of cake on each plate and pour a little sauce over. Serve with some extra custard sauce in a gravy boat. Preheat the oven 350 degrees F and grease and flour a Bundt pan. 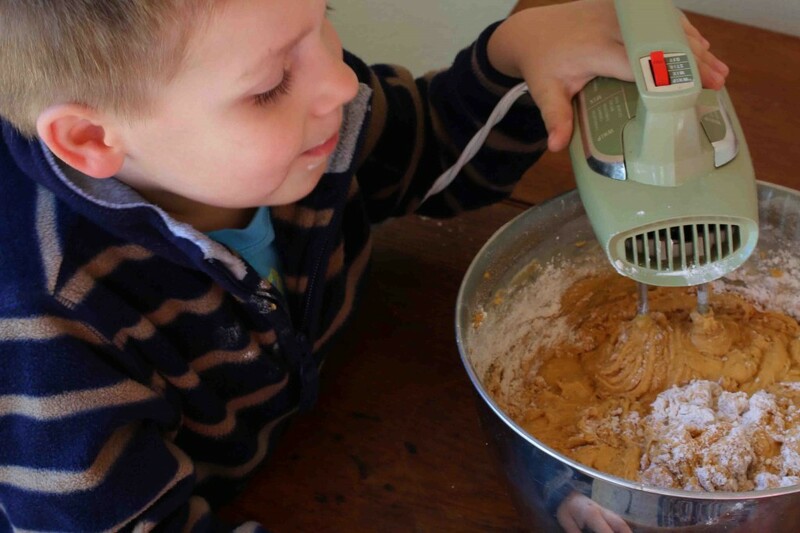 To make the cake: Combine the flour, baking soda, salt, cinnamon, ginger, cloves and nutmeg in a medium mixing bowl and stir to combine. Set aside. 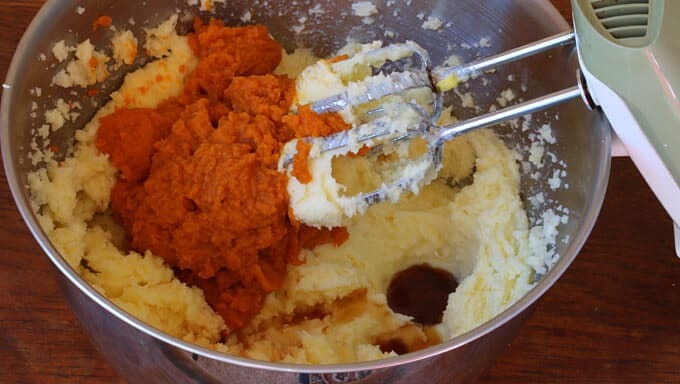 In a large mixing bowl, cream the butter and sugar with an electric mixer for several minutes. Add the eggs, one at a time, beating after each addition. Add the pumpkin, vanilla and rum extracts and beat until combined. 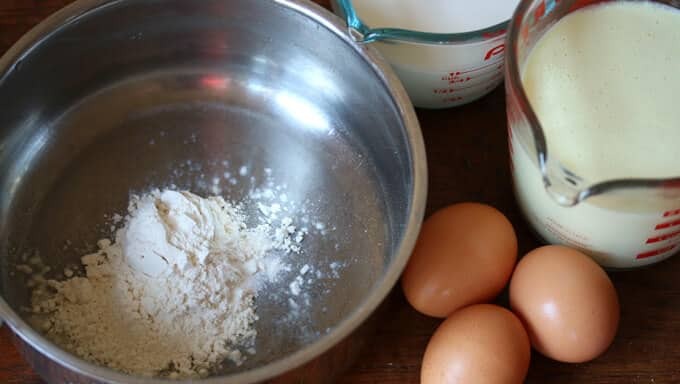 Alternately add ⅓ of the flour mixture and eggnog, beginning and ending with the flour, beating a little after each addition. 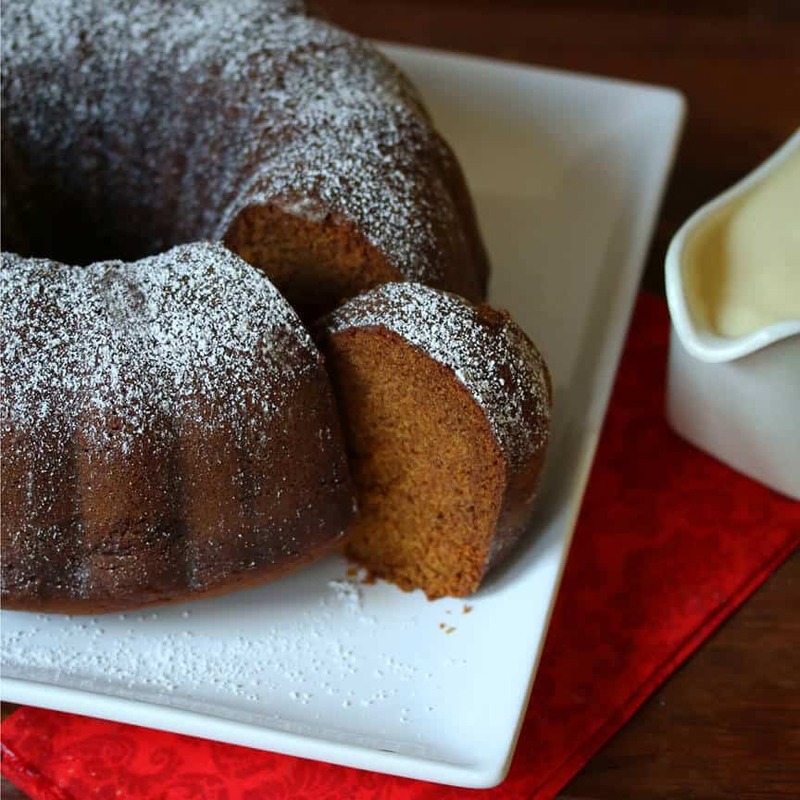 Spoon the batter into the prepared Bundt pan and bake on the middle shelf for 65-75 minutes or until a toothpick inserted into the center of the cake comes out clean. Be careful not to over-bake or the cake will be dry. 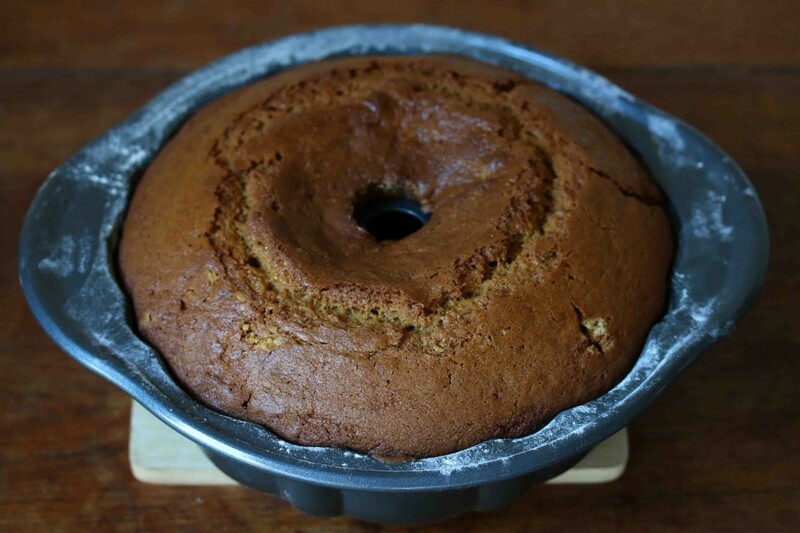 Let the cake cool in the Bundt pan for a full 10 minutes before inverting onto a wire rack. 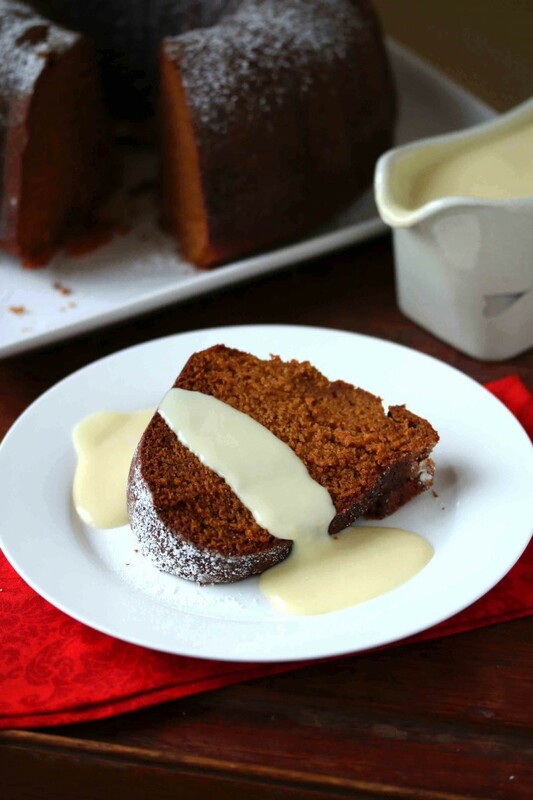 While the cake is either baking or cooling, prepare the custard sauce. It can also be made in advance and reheated. 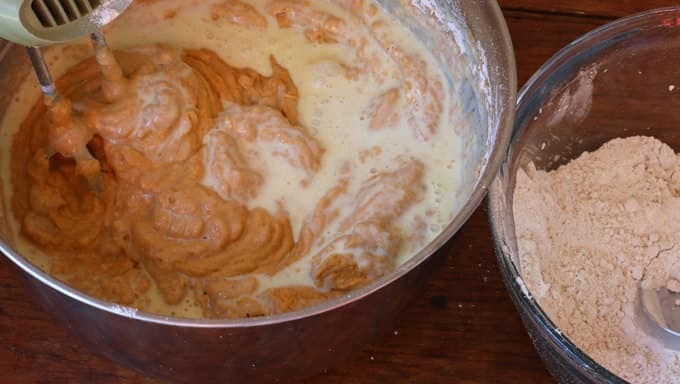 Place the flour, sugar and salt in a medium saucepan and whisk in the eggnog and milk. Bring to a simmer, whisking frequently, until the mixture just starts to simmer. 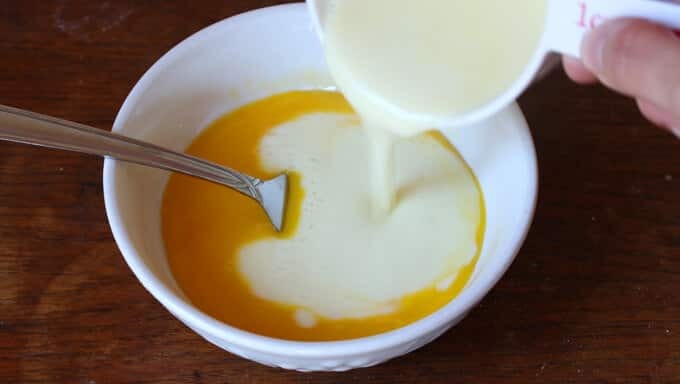 Remove ½ cup of the hot mixture and whisk it into the bowl of egg yolks until smooth. Pour the egg yolk mixture back into the saucepan with the rest of the sauce, whisking constantly until combined. Return the sauce to a simmer, reduce to medium-low heat and continue whisking for a couple of minutes until the sauce is thickened. Pour the custard through a fine sieve into a bowl and discard any clumps. If not serving immediately, cover with plastic wrap once cooled, pressing the plastic directly on top of the sauce so it's touching to prevent a film from developing on top of the sauce. 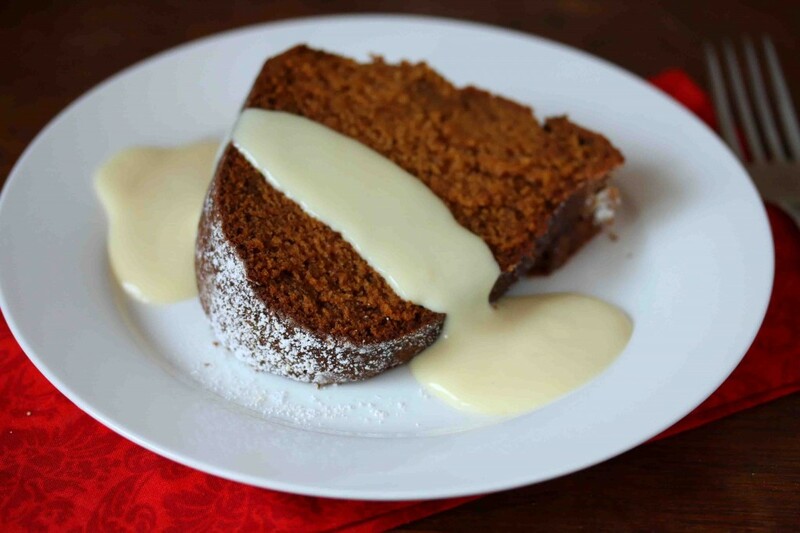 Serve the cake on individual plates with some warmed eggnog custard sauce poured over and extra sauce in a gravy boat for serving. Oh YUM. This looks and sounds wonderful, I can only imagine how flavorful it is. 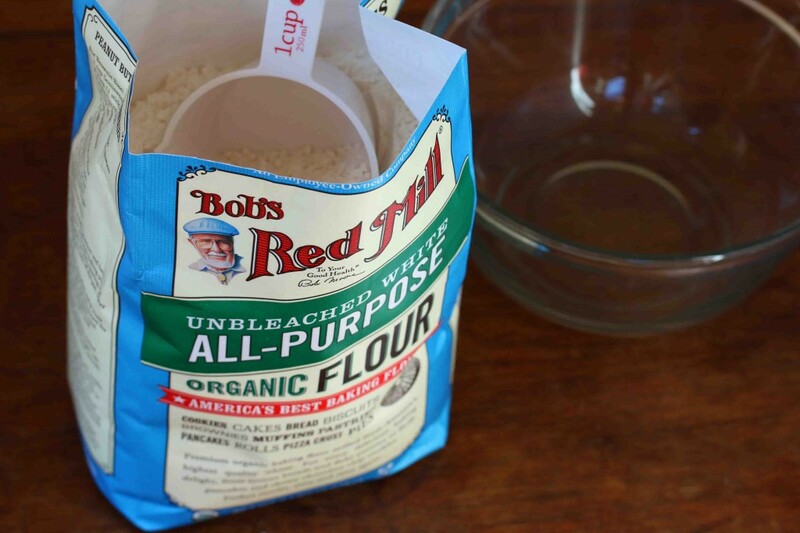 Big fan of Bob’s Red Mill products as well, I use them all the time. Thanks for this recipe. 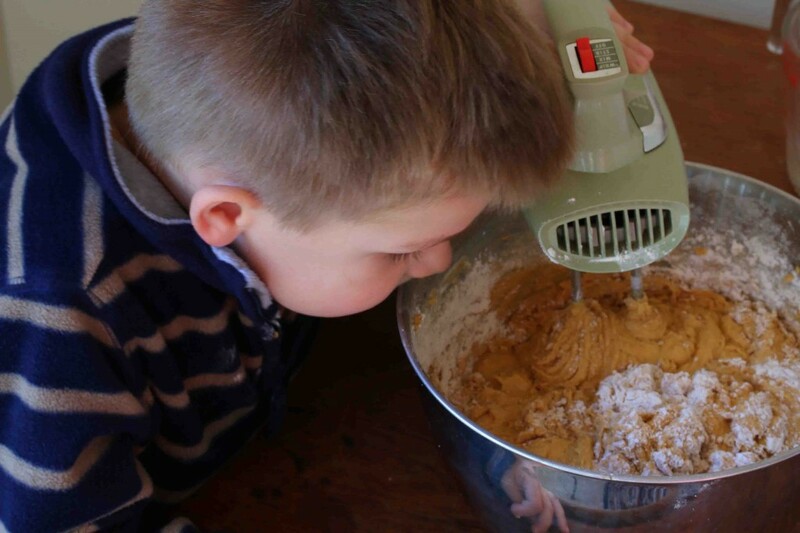 And that is so neat that you involve your kids in the kitchen, such priceless memories. Thanks so much, Bridget :) Eggnog is one of my favorite things, I could drink it by the gallon (but then I’d weigh 400 pounds)! Have a fabulous week, Bridget. This looks yummmyyy. I have actually never seen Anne of Green Gables and while the series sounds vaguely familiar I don’t know much about it so will have to give it a look. Also a huge fan of Bobs red mill products! What a dense, delectable cake! I’d love a big slice, please! Lovely cake Kimberly. And that sauce! Eggnog is a favorite holiday flavor of mine, so I am all about that sauce. That sauce is genius! Definitely a holiday worthy cake! I’m ready for eggnog – bring on the eggnog and cake!! I feel like mixing pumpkin and eggnog is the perfect bridge between fall and xmas. Awesome recipe! Hi Patty, yes you can. Happy baking! 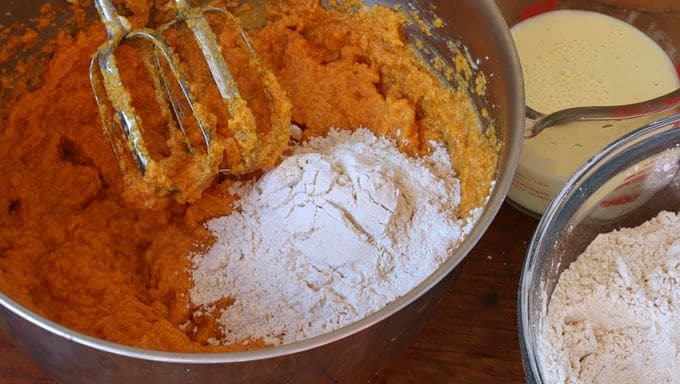 I was looking for a recipe to use some leftover eggnog and canned pumpkin when I found this. I was a little intimidated by the custard at first, but it was so easy! This cake was a hit, and I like the custard cold just as much as I like it warm. That’s awesome, Sharon, I’m so glad you found and enjoyed this! And you’re right, the custard is super easy and I could eat it all up on it’s own, it’s so good. Thanks so much for the feedback! A NY day shot at this cake using 2 year old (from freezer) Organic Valley nog, whole milk and leftover pumpkin, also from freezer. Am delighted with the results. I did back off on sugar to create more play between sweet and savory and bumped up the cloves for a little heat. Just tried a slice and can’t wait to share over dinner, about an hour from now. Wonderful, Susan, I’m glad you enjoyed this – thank you! This is just the perfect match. So satisfying.